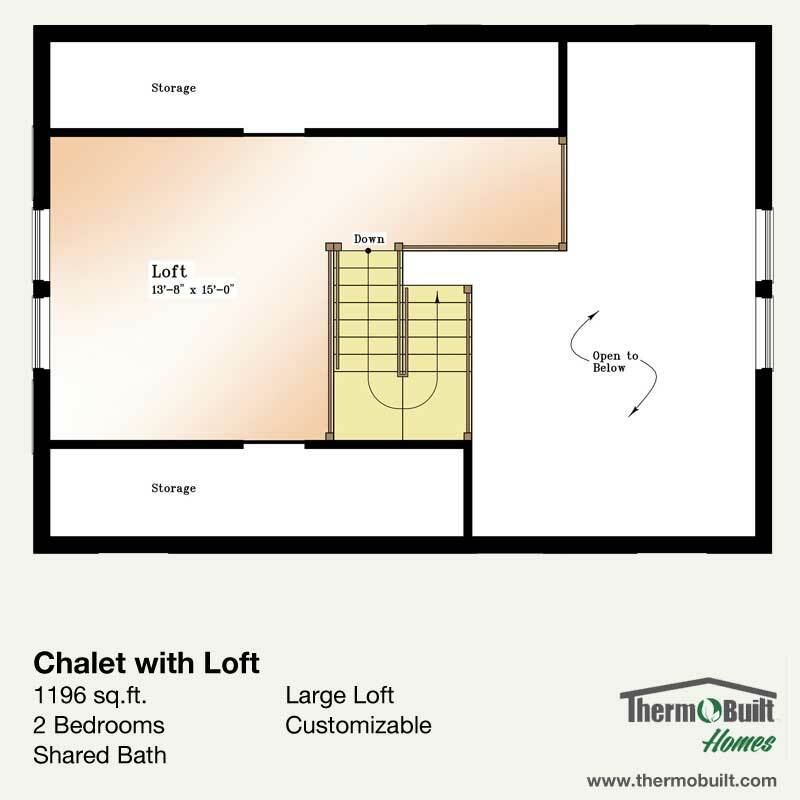 Plan_Chalet_with_loft – ThermoBuilt Systems Inc.
Chalet w/ Loft - 1196 Sq.Ft. 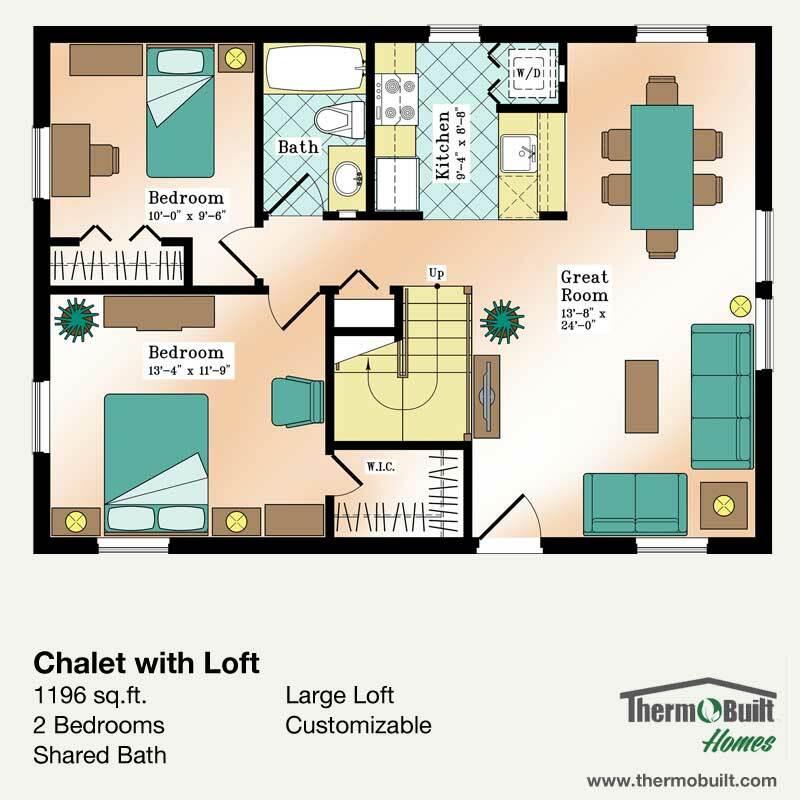 The Chalet w/ Loft plan is a 1,196 square feet, two bedroom and full bath, with flex space plan well suited for a variety of surroundings. This plan is designed with the addition of a Loft. A version without a Loft flex space is also available. A full, galley style kitchen with stackable washer/dryer makes great use of space without sacrificing function. Both bedrooms are well proportioned, with the Master Bedroom featuring a walk-in closet. A full bath and flex space Loft complete this floor plan. The Loft flex space can be used as a gathering room, extra bedroom, or office. LINK: The Non-Loft version offers 290 square feet less of living space. Roof Design Options: Simple Gable 8:12 Included. Available Loft: Also available without loft.